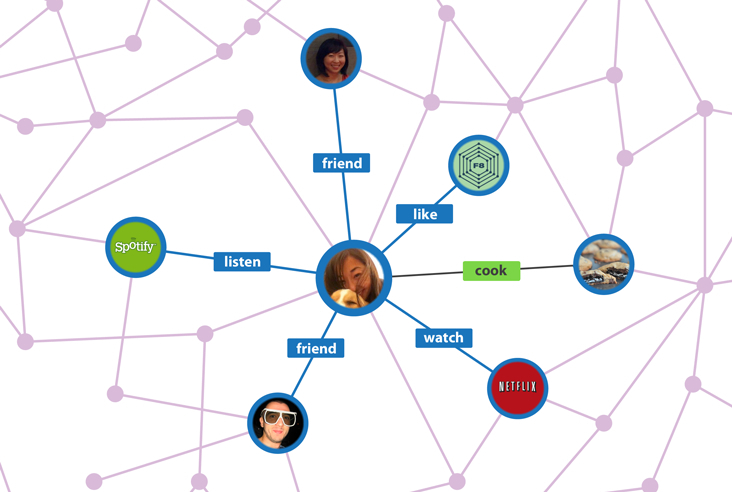 Tutorial.Razi.Net.My: What is Social Graph? A social graph is a diagram that illustrates interconnections among people, groups and organizations in a social network. The term refers to both the social network itself and a diagram representing the network. When portrayed as a diagram, a social graph appears as a set of points or dots connected by lines. The points represent the actors and the lines represent the ties. A small-scale social graph can be drawn with a pencil on a sheet of paper. However, because of the complexity of interconnections between individuals, a social graph is typically too massive to fit on a single page and can be rendered only on a computer equipped with specialized application software. Speaking at the Facebook f8 event in May 2007, CEO Mark Zuckerberg used the term "social graph" to refer to the network of connections and relationships between site users. Zuckerberg said that "it's the reason Facebook works. "He went on to say the social graph is "changing the way the world works... As Facebook adds more and more people with more and more connections it continues growing and becomes more useful at a faster rate. We are going to use it spread information through the social graph."